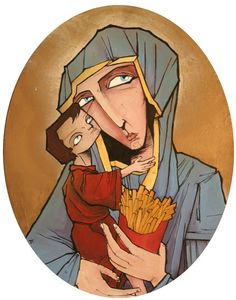 Mary could just not refuse her baby's cries for fries. 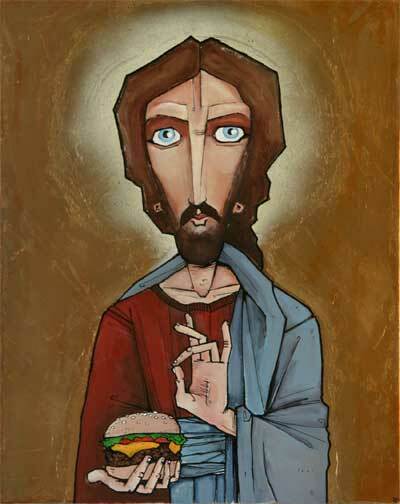 Jesus grew to love hamburgers and could miracle them at will. 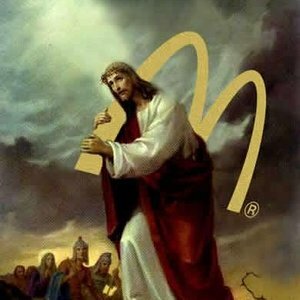 Jesus agreed to McDonalds sponsorship to help support his habit. 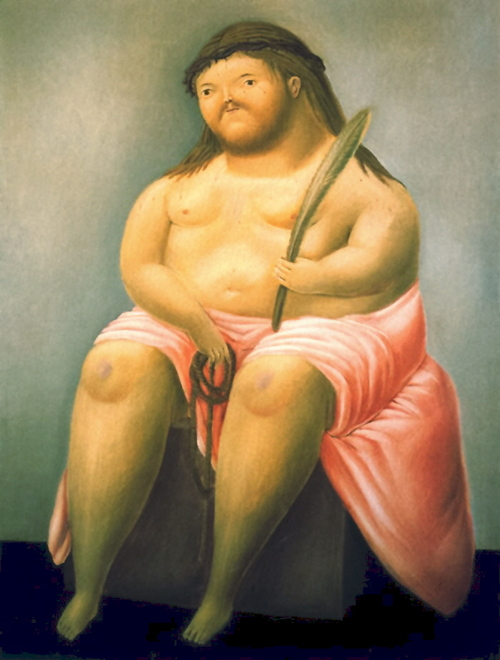 The fast food took its toll, and Jesus became clinically obese. 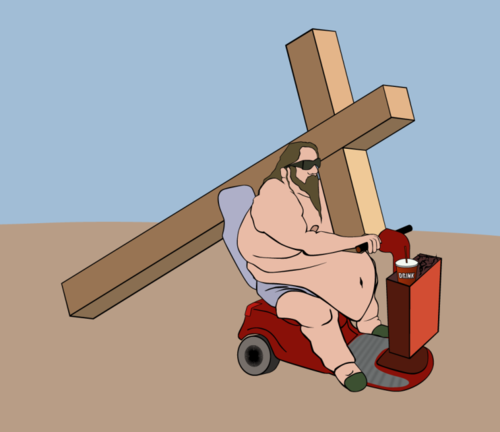 Jesus asked his loving Father to provide him with a motorised scooter. 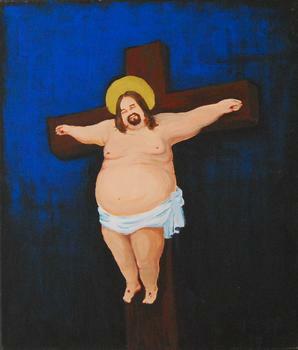 But in the end, a sadder, fatter Jesus died for your sins.